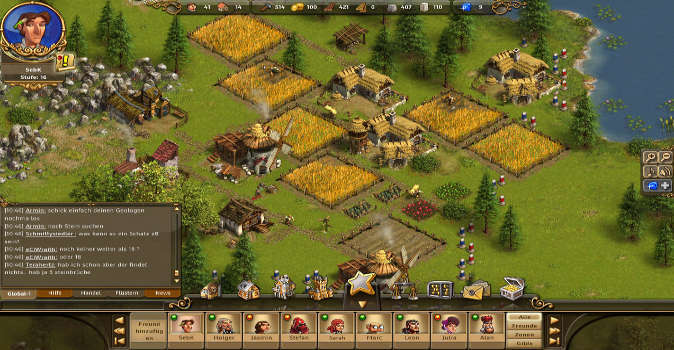 The free-to-play browser game ‘The Settlers Online’ is split into multiple worlds and cross-sections of the map. As a new settler you start off with your own small island. However, a large part of this island is left unexplored and shrouded in mist. To start off with, you build up your village little by little, establishing sawmills and living quarters as well as the first trade chains in order enable you to build up new buildings and units. As soon as you’ve completed these first steps, you explore the remaining part of the island by taking part in your first missions, discovering new resources and expanding your empire by driving out barbarian encampments. The most well-known edition of the Settlers’ series was “The Settlers II – Veni, Vidi, Vici”. Since then the attention has been firmly on the unbelievable ‘bustling factor’ of the game. This enabled the game to enthral players around the world through its lovingly crafted animations, which beautifully portrayed every detail and settler down to the smallest details. This ‘bustling factor’ has made its way onto the new browser construction simulation ‘The Settlers Online.’ You can explore the beautifully put-together island with its fully animated wildlife, beaches, coasts, forests and bustling characters. 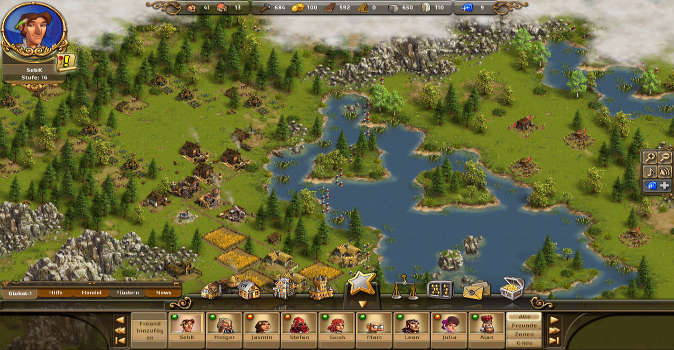 Asides from building up your empire and erecting beautiful cities, The Settlers Online offers a lot of opportunities for you to get into contact with other players. At the market you can craft your own items, visit other players on their island and make presents and crank up, spy on or even sabotage their production chains. You are also able to establish clans and guilds and chat together directly in-game. As well as these in-game mechanics, the developers also arrange a variety of seasonal events such as Easter or Christmas Specials. 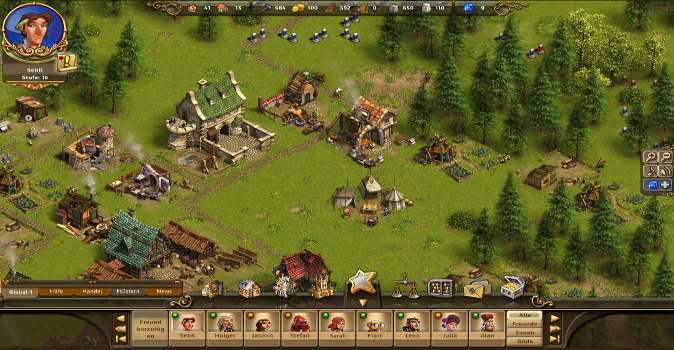 Great Graphics: Thanks to the new Flash Player graphics, ‘The Settlers Online’ offers up the familiar ‘bustling factor’ we’re so used to experiencing from the PC games on your browser. Production chains: ‘The Settles Online’ has a diverse range of different and extensive production and trade chains. The free-to-play browser strategy game ‘The Settlers Online’ is one of the most lovingly-crafted browser games, which convinces through its trusted setting and familiar ‘bustling factor’. 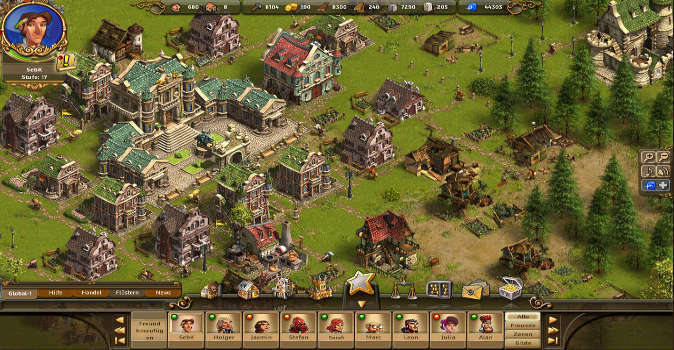 The in-game graphics are beautiful to look at and are particularly noteworthy for a browser game. The gameplay exhibits an impressively simple structure and allows even new players to get stuck into the game. We believe that ‘The Settlers Online’ will equally enthuse faithful fans of the old games, as well as win over newcomers to the series.